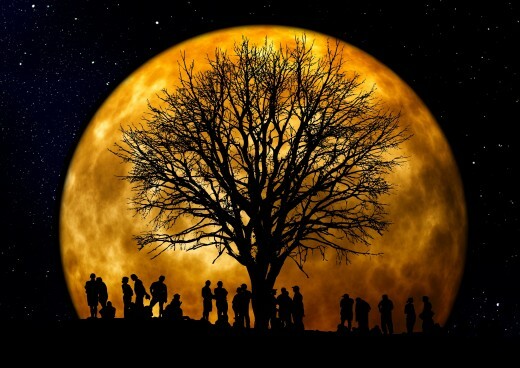 Huge moon with tree and people. Possibly a Harvest moon? Certainly a Super Moon. The recent lunar eclipse in January 2019 was dubbed the Super Wolf Blood Moon, which made me curious about the names of different moons. 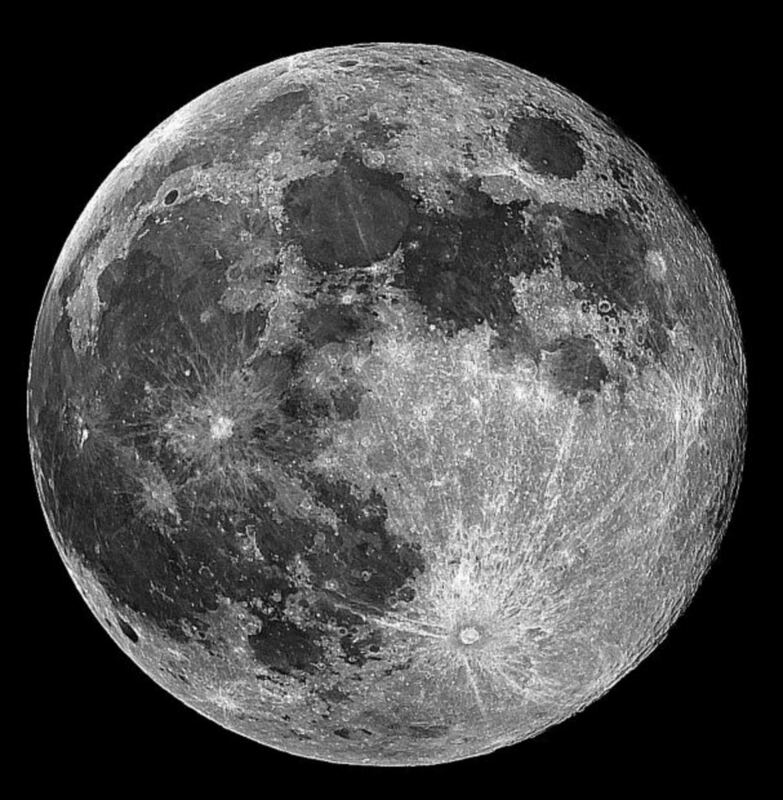 I'd heard of the Harvest Moon, and a Blue moon, and maybe a Wolf Moon, but had no idea when they occurred, or what the origins were. A little research on moon names revealed that many of them had their roots in Native American tradition, but in the UK we have our own Old English and Celtic traditions of moon names. I was hoping for a definitive answer, but there seem to be multiple names for each moon depending on which tradition you choose to follow. 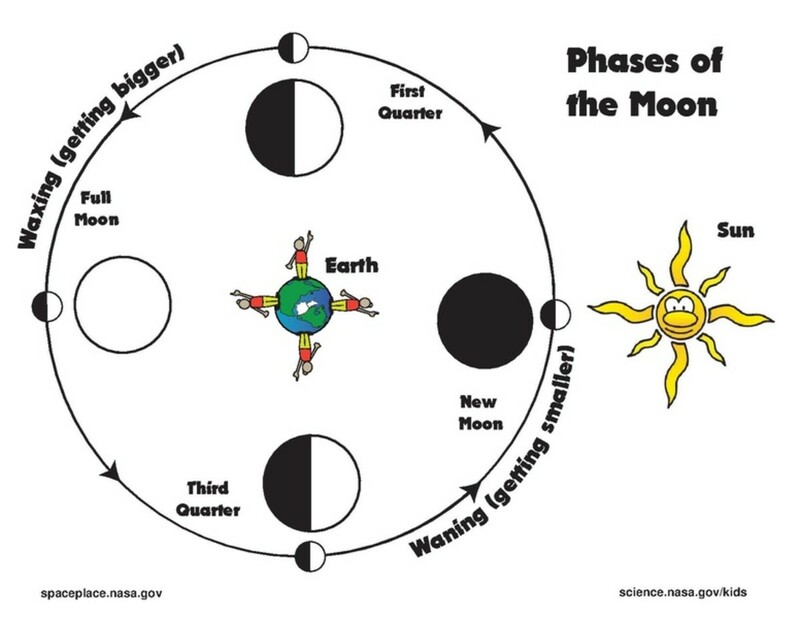 Before our Julian and Gregorian Calendars were introduced, people marked out time in phases of the moons. Each full moon was given a different name, often reflecting the season, the weather, or particular crops and animals, but as you can see from the table below, there are multiple names depending on which tradition you follow (and these are just a few). Some UK traditional moon names. Why is the Harvest Moon Big and Red? We can see from the table above, which just compares three different traditions, that there's no real consensus over moon names. 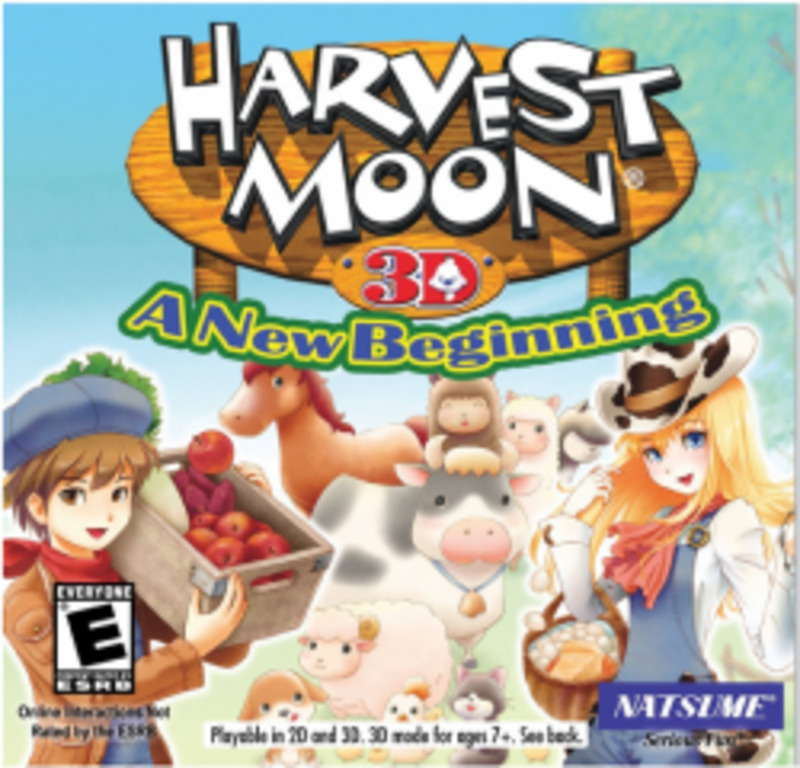 Taking the Harvest Moon as an example; in general the Harvest Moon is either in September, or October, and the moon of either month can be called a Harvest Moon. Add in Native American traditions, or Wiccan, or Neo-Pagan, and the names multiply - there really is very little consensus. 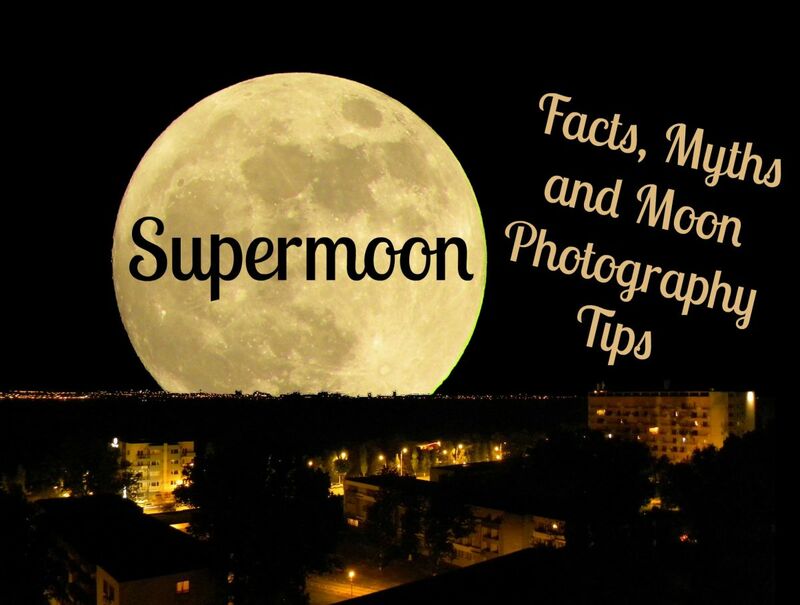 Nowadays, it's generally held that the Harvest Moon is the full moon occurring closest to the Autumn Equinox. The moon rises around sunset for several days in a row and appears low in the sky, giving the perception of being much larger than usual. The red/orange colour is due to the blue light having been scattered at sunset, but environmental conditions can make the moon appear much redder, dust or pollution in the sky, for example. And for this reason, the Harvest Moon is sometimes called a Blood Moon just like the eclipse moon. 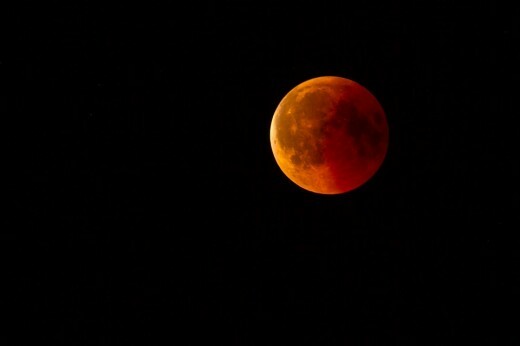 Aside from the Harvest Moon being called a Blood Moon, the name usually refers to the orange moon seen at a lunar eclipse, such as the one in January 2019, easily visible in the UK. The lunar eclipse happens when the Earth comes between the Sun and the Moon, casting its shadow over the moon. 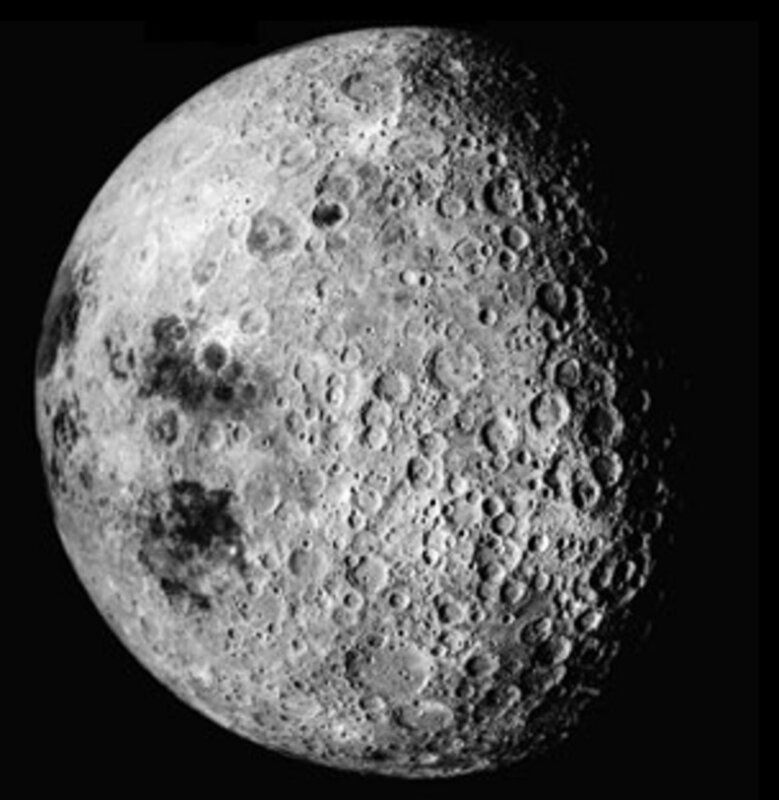 Some light from the Sun bounces through the Earth's atmosphere and is reflected on the Moon. The light wavelength is 'stretched out' and so appears red. The eclipse in January 2019, on 20-21st in the UK, was also called a Wolf Moon, as the Wolf Moon is held to be the first full moon of the year, and super, because it appeared to be large in the sky. The next lunar eclipse is in 2021, but won't be visible from the UK. The next full lunar eclipse here will be in ten years, in December 2029, so this one may be called a Super Blood Oak Moon. 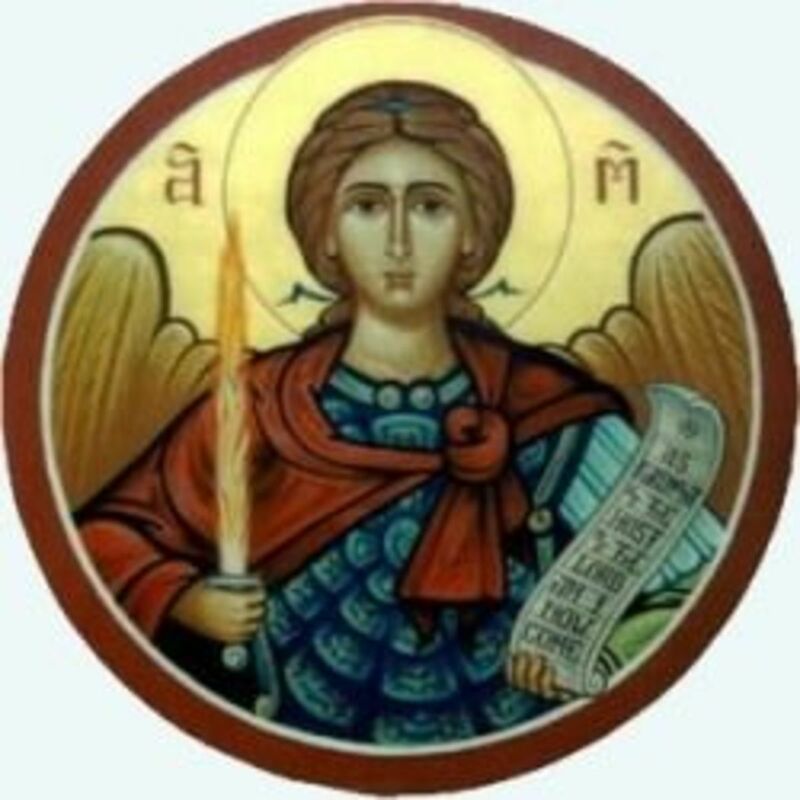 Given the table of moon names, there isn't a Blue Moon, so where does this title fit in? 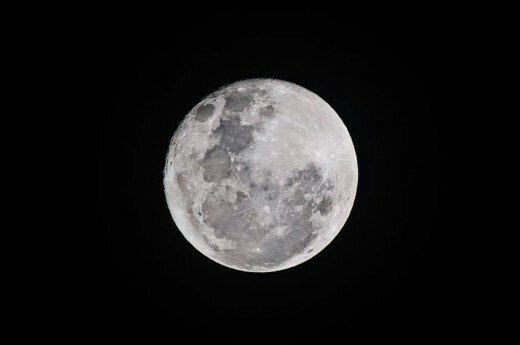 The moon becomes full every 29.5 days, so when the full moon appears at the start of the month, there is a good chance that there will be a second, Blue Moon, at the end of the month. Hence the phrase 'Once in a blue moon,' referring to something that happens rarely. 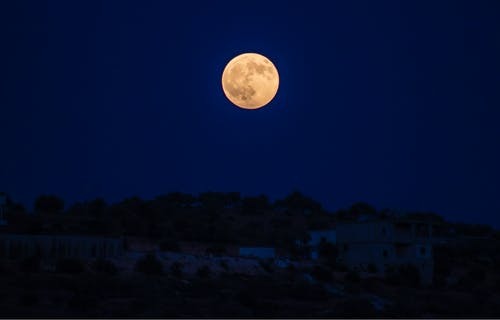 There are no blue Moons in 2019, the next Blue Moon will fall in October 2020, they generally occur every 2-3 years. Occasionally, as with a Blood Moon, there can be types of particulate pollution that turns the moon a bluish colour.